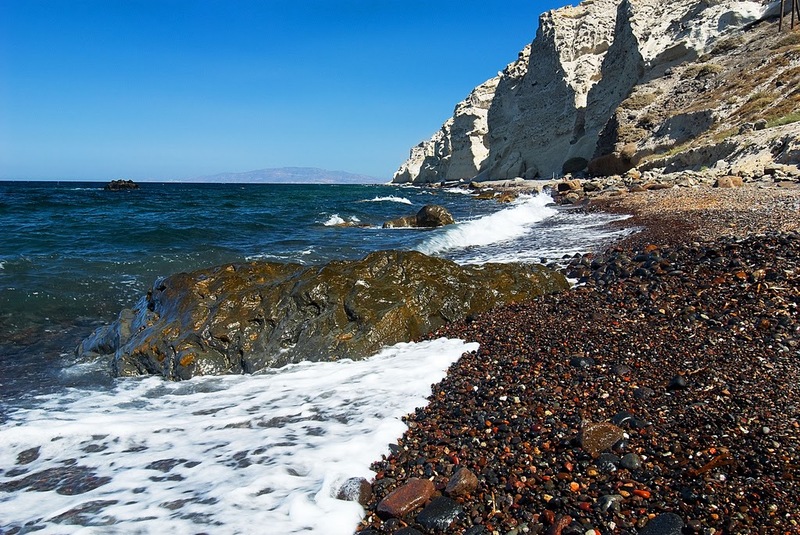 Katharos Beach is a quiet black sand and pebble beach located in Oia area. It can be reached by car from the road to Ammoudi. Characteristic are the two rocks that stand in the middle of Katharos. There is a tavern at the start of the path leading to the beach. Katharos is unorganized and there are no sunbeds or umbrellas. It will take you about 3 to 5 minutes to walk to the beach from the parking place.